Jeep Grand Cherokee 2.7 CRD High Pressure Fuel Pump A6120700001. I specialize in Grand Cherokee so if you need anything else just ask. FOR JEEP GRAND CHEROKEE WJ, WG. Fuel Type:Diesel. This is an original quality part manufactured by Bosch. Pump Type:Gear Pump. Vehicle compatibility. (VAUXHALL 55237689. VAUXHALL 55246508. OPEL 55237689. OPEL 55246508. OPEL 8 19 270. OPEL 95523386. FYB1_) 02-2015 -. FYE1_) 09-2015 -. ENGINE CODE: ENR. RECONDITIONEDBOSCH DIESEL FUEL PUMP ,FITS JEEP 2.8 CRD. WE HAVE BEEN RECONDITIONING COMMON RAIL INJECTORS SINCE THE YEAR 2000. CROSS REFERENCE PART NUMBERS. ONCE THIS HAS BEEN PAID WE WILL. CP3 High Pressure Fuel Pump. 2005 - 2006 Jeep Liberty. 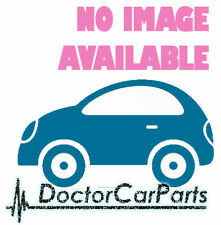 - Genuine OEM Bosch-. BOSCH - 0 445 010 104. Cores must be in a condition representative of normal use. Cores that would NOT be acceptable are those that were in a fire, have been left outside in the weather and are rusted internally, or are physically broken. BOSCH DIESEL FUEL PUMP -FITS MOST. CROSS REFERENCE PART NUMBERS. VIN CHECK TO SEE IF THIS FITS YOUR VEHICLE. AND PROFESSIONAL SERVICE. 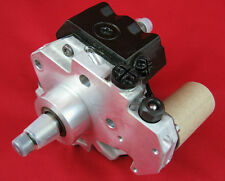 A fully reconditioned genuine Bosch high pressure fuel pump. by a Bosch approved agent. Diesel injection pump Jeep CHEROKEE I (XJ) (1.88-9.01). JEEP COMPASS SUV (2007 - 2011) MK 1 2.0 CRD LIMITED 4X4 5DR. Shetland ZE1-3. Orkney KW15-17. VIN: 1J8F7C7Y57D255208. REG: FY07 PFO. high pressure pump Jeep CHEROKEE II (KJ) (11.04-4.08). FIAT 500L (351_, 352_) 1.6 D Multijet 09/2013 -. FIAT 500L (351_, 352_) 1.6 D Multijet 09/2012 -. VAUXHALL 55237689. VAUXHALL 55246508. OPEL 55237689. OPEL 55246508. OPEL 8 19 270. OPEL 95523386. CHRYSLER 05080255AA, 5080255AA. DODGE 05080255AA, 5080255AA. JEEP 05080255AA, 5080255AA. 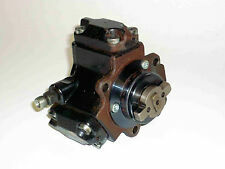 Pump Type Gear Pump. Fuel Type Diesel. Tank sensor. 5-door, automatic, ABS, ESP, ALL-wheel drive, power steering, electric Windows, rear, electric Windows front, Central locking, electric. Exterior mirrors, heated seats. There can be from the manufacturers production changes in the current models. In the event that a part is supplied and proven to be incorrect or faulty, Bits & Parts Ltd. must be notified within 48 hours. Part is used and tested and is IN WORKING ORDER! CHRYSLER 05080255AA, 5080255AA. DODGE 05080255AA, 5080255AA. JEEP 05080255AA, 5080255AA. 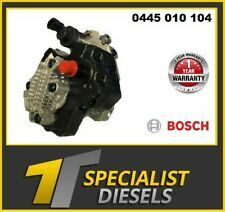 Fuel Pump 0440020088 Bosch. Part Number 0440020088. Pump Type Gear Pump. Fuel Type Diesel. Model year from: 04/1999. PART NUMBER: A6110900350. Jeep Grand Cherokee. We have other parts available for this car. Belt Tensioner Wheels & Bkts. Suspension Ball Joints. Windscreen Wiper Blades. Any claims after 24 hours cannot be accepted. Rear Lights. Pump Type: Gear Pump. Front Exhausts Cats. Estimates can be provided beforehand but prices may differ upon ordering. Part Number: 0445010152. High Pressure Pump. Fuel Type: Diesel. Site Safety. IT & Computing. Outdoor & Leisure. Car Care & Accessories. Automotive Parts. BOSCH: 0986437365. Part Number: 0986437365. BOSCH: 0445010145. BOSCH: 0986437329. High Pressure Pump. Fuel Type: Diesel. Site Safety. Car Care & Accessories. BOSCH: 0986437095. Part Number: 0986437095. BOSCH: 0445010307. BOSCH: 0445010424. BOSCH: 0445010466. BOSCH: 0445010397. High Pressure Pump. Fuel Type: Diesel. SAAB 900 Fuel Pump 0440008082 2 01/93-01/98. Convertible / Petrol / Front Wheel Drive. BOSCH WIPER BLADES & MOTOR. SAAB 900 Mk II 2 -16 Turbo. CHAMPIONS WIPER BLADE. BOSCH IGNITION & FUEL PARTS. APEC BRAKE DISC & PADS KIT. 1x original Bosch Fuel pump. Type of pump: gear pump. Fuel: Diesel. Vehicle list. Oberflächenbeschaffenheit NEU. EAN 4047023050588. PEUGEOT PARTNER Fuel Pump 0440020049 1.9 01/96-. BOSCH SLAVE CYLINDERS. PEUGEOT PARTNER -5 1.9 D. BOSCH WIPER BLADES & MOTOR. LUK OE QUALITY SLAVE CYLINDER. CHAMPIONS WIPER BLADE. BOSCH IGNITION & FUEL PARTS. Used car part in fully working condition. You should expect normal wear and tear corresponding to the year of the car the part has been removed from. Make sure to examine the photos attached. If any of the part numbers matches with one found on your part – the item is normally the right part for you. Used, fully functioning car part. Parts have a quarantee for 3 months. Is this the right part for my vehicle?. Check the part number carefully.